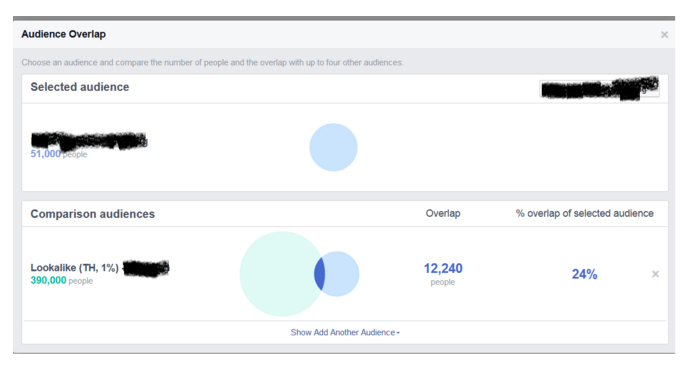 Only a few weeks ago Facebook introduced their newest tool: Audience Overlap. As if there wasn’t enough ways to target your audience already, Facebook has provided advertisers with yet another cool and useful tool to crush even harder with Facebook. 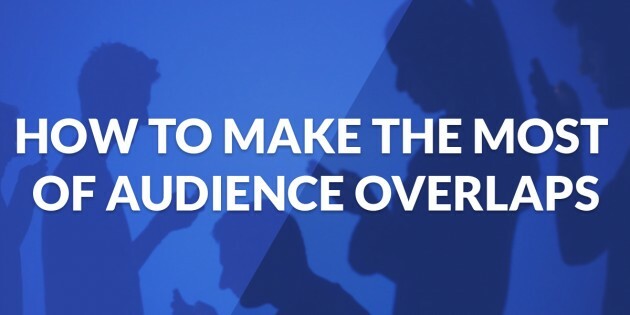 In this article I’ll discuss what Audience Overlap is and how you should be using it. In a nutshell, Audience Overlap lets you visualize any crossover between different audience segments you target. For the first time you can identify how many users are in one or more of your audiences. For example, you may have a website custom audience of 25,000 users and a lookalike audience of 150,000. Of that 150,000 users, Audience Overlap will tell you how many users from your lookalike audience are also in your website custom audience. From the infographic above we can see that the biggest overlaps are between precise interest and behaviour and lookalike against lookalikes. 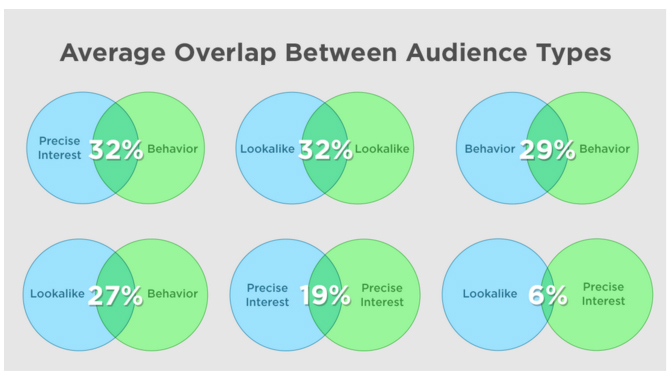 At first glance, the Audience Overlap tool doesn’t look all that useful as what can you really gain from knowing your audiences overlap? Well for one you’ll not fatigue your prospects by serving them too many adverts. You may think that each audience you target is completely unique and prospects targeted in campaign A are not seeing your ads in Campaign B. Leveraging Audience Overlap you may find that there’s in fact a huge overlap and you’re serving the wrong message type to certain users. Knowing this data before hand allows you to minimize ad impressions to relevant prospects and give you an idea if you’re targeting the correct cold audiences. For example, if you’re serving awareness type ads to a lookalike audience, using Audience Overlap you may find that a large portion of your lookalike audience are also in your website custom audience. Not only will you annoy customers by serving them ads that aren’t relevant, but you’ll also lower your relevance score and increase your costs by doing so. You can find the Audience Overlap feature by heading to the Adverts Manager and going to Tools > Audiences. Using the Audience Overlap tool I’ve learned that my lookalike audience contains 24% of users who are already familiar with my business. Since the goal for my lookalike audience is to push them through the first part of my sales funnel, I would need to exclude everyone who overlaps in my lookalike and custom audience. At the ad-set level you can exclude custom audiences to minimize any overlap. What else did I learn? Since there’s a large overlap, it also suggests that the users in the lookalike audience are well targeted as they contain people who have already shown an interest to my business. If there was a very small overlap, it does raise red flags that perhaps this audience isn’t as close to my target market as I thought. If you’re using a combination of lookalike, custom and detailed audience targeting, you might be in for a surprise finding that a large portion of one audience overlaps with another. While a simple tool, Audience Overlap will be able to help you further optimize your audience targeting at the ad-set level to ensure the right people see the right ads.